Our Mechanical Protection Plan will give you peace of mind, providing added protection for five years after the Mazda Manufacturers warranty expires. Covers most internally lubricated components of the vehicle. Plus the engine management computer. Platnum Plus National Roadside assistance. Coverage for 10 years from purchase date. Covers most major moving mechanical components of the vehicle. Plus the engine management computer. Mazda's passenger vehicle range is backed by a 5-year, unlimited kilometre warranty. It covers parts and panels so you can enjoy your new Mazda with peace of mind. Once purchased, the Extended warranty gives you a further 12 months protection after your standard 5 year new vehicle warranty expires. This means your new Mazda will be covered by our factory warranty for a total of 4 years, with unlimited kilometres. Has no limit or excess if you make a claim. For full terms and conditions please refer to Mazda's New Vehicle Warranty. 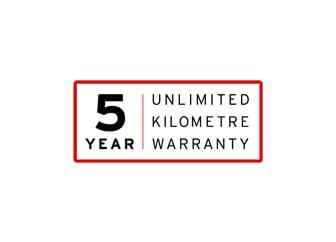 BT-50 has a two-year, unlimited kilometre warranty. If you haven't reached 100,000 km at the end of two years, your cover extends to five-years or 100,000 km, whichever comes first. All used cars bought from City Mazda Mazda come with a 5-year/175,000km warranty. If you prefer to extend the life of your car warranty, you can opt for an additional 5-year Premium Warranty, for that added protection. In the unlikely event that something does go wrong during your warranty period, contact City Mazda for support and advice.